The Inca Trail at Machu Picchu. When to plan your trip and what to expect. 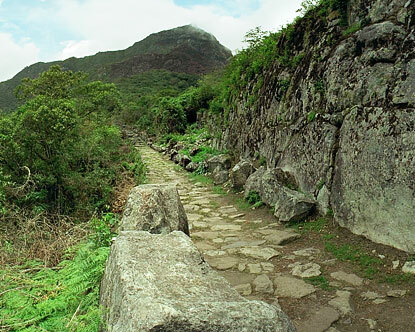 The Inca Trail in Peru is one of the world’s most famous hiking trails. Starting from the Sacred Valley of the Urubamba River and ending at the breathtaking ruins of Machu Picchu, the 45km trail takes three to five days to complete. The trail itself winds through a combination of high altitude mountain ranges (the Andes) and dense subtropical forest. it is generally recommended that spending 2 days in Cusco is sufficient for acclimating yourself to the decrease in oxygen levels. The best time to plan a hiking adventure depends on your needs. If beautiful, lush and green scenery is what you’re after then May is the time for you. The wet season will have just ended leaving in its wake spectacular views from Machu Picchu as well as on the trail. Peru’s dry season begins in May and lasts until September. Be aware though, that the best season almost always brings with it the largest crowds. If you want to hike in solitude going during Peru’s wet season (October through April) is your best bet, and you also won’t have to worry about finding water!